This is the first in a two-part series exploring the value of outdoor play. I recently jogged past a local school during recess period. Legions of small bodies were everywhere — running, climbing, swinging — and the winter air was full of voices happy to be released from the halls of learning, if only for a little while. Do you remember recess? Those precious minutes during the school day when we ran like a herd of buffalo for an opportunity to twirl on high bars, spin the tire swing, or jump rope with a gaggle of our closest friends. Rain or shine, teachers flung open classroom doors and shuttled us outside into the elements, allowing everyone a chance, as one nun at my Catholic school phrased it, "to run the devil out of you." If memory serves me correctly, kids at my school near Seattle were treated to two recesses per day; one in the morning and a longer, after-lunch break at the noon hour. Teachers took turns supervising but hardly ever interfered with the sacred social experiences that happened over a hopscotch pattern or baseball field. We were free-range within reason and mostly self-governing, creating new ways to play tag and four-square, and when the bell rang we trooped inside, breathless and more willing (and probably more able) to sit behind a desk for the remaining hours of school. Learning is now more structured and intense than it was during my 1970s childhood. Kids are pushed to excel far earlier, with standards increasing and testing becoming obligatory. Parents, educators and government officials want kids to be healthy and learn everything they can during their time in school. But the past few decades have brought pressure for structured learning extending across the range of childhood, reaching even the most seemingly benign of environments: playtime. My son, a seventh-grader at an Anchorage School District charter school, has one 20-minute recess during the day. He's always been an active kid, so it is no surprise that when asked about his favorite part of school, "recess" has been the response since kindergarten. I asked him one day what he and his pals do with their recess time. "We play football," he said. Apparently this band of middle school kids has created their own league, picking different teams among themselves each Monday and taking advantage of every single second recess allows. They are both players and referees, arguing calls, making spectacular catches (and misses) and falling on the ground, but taking it all in stride, rehashing games throughout the rest of the school day. This kind of play is critical to development, the American Academy of Pediatrics stated in a 2013 study, nurturing social development by interacting with a variety of other people, and emotional development (negotiating, compromising, problem-solving) without interference from adults. Free play opportunities during the school day appear to be as important as times tables and reading logs, and local parents had a lot to say when I asked them about the amount of recess their kids received at various Anchorage School District schools. "Usually the best part of my kids' day is playing with their friends at recess," said Jamie Robinson, mother of three elementary-age kids. "They're really upset if recess is taken away, and I notice. They're so wired when they get home." Robin Brooks, the mother of a kindergarten son and third-grade daughter, told me her kids always want more recess. "Always. 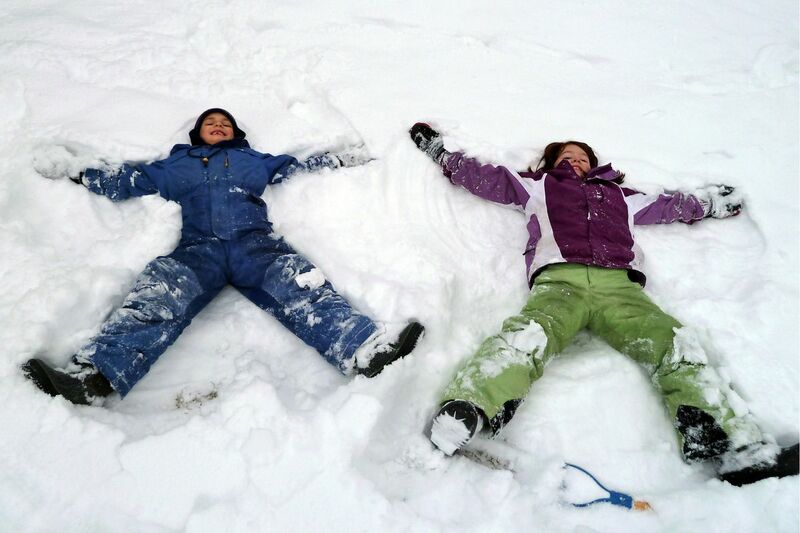 They were positively giddy this week that their PE classes are going outside for sledding and snowshoeing," Brooks said. "It was tough for them at the beginning of the year, switching from endless outside time to a short 20 minutes. Our school is fortunate to have the space where more kids can be outside. I just wish they'd add 10 more minutes there (as opposed to) doing a 10-minute dance to a video indoors. But at least they're trying." I asked the Anchorage School District, the largest in Alaska, for some insight regarding recess and the school day. Deputy Superintendent Mark Stock responded to my email. "We would like to offer more recess and more unstructured time for students," he said. "But what would we take off the plate? Expectations for schools is high and we cannot afford to give up more instructional time." Pressure on schools to perform is indeed high. Test scores rank institutions by academic performance, and state and federal guidelines seem to require more and more from our educators. It is no wonder kids feel pressured to learn, learn, learn in a structured environment; the adults with whom they spend most of their time are faced with the constraint of one single thing: achievement. And to achieve, current models seem to say, one must have structure. Stock said the district encourages families to provide plenty of free play time at home, and organizations like Healthy Futures go to great lengths to back up this goal along with school PE teachers. Healthy Futures promotes exercise at local events and provides resources for teachers and parents to stay active at home. We've had the Physical Activity Challenge taped to our refrigerator for years, and an upcoming summit called Positive Leadership for Active Alaska Youth (PLAAY) in Anchorage on February 23-24 will address the challenges of keeping kids active on a daily basis. But an overarching issue remains. Kids spend their days in school and after-care situations, then return home to sports practice, dinner and homework. When do they play outside? And what are they losing? Next week I'll explore some options. Erin Kirkland is author of the Alaska On the Go guidebook series and publisher of AKontheGO.com, a family travel resource.